Where they hell was this thing when I was a kid?! 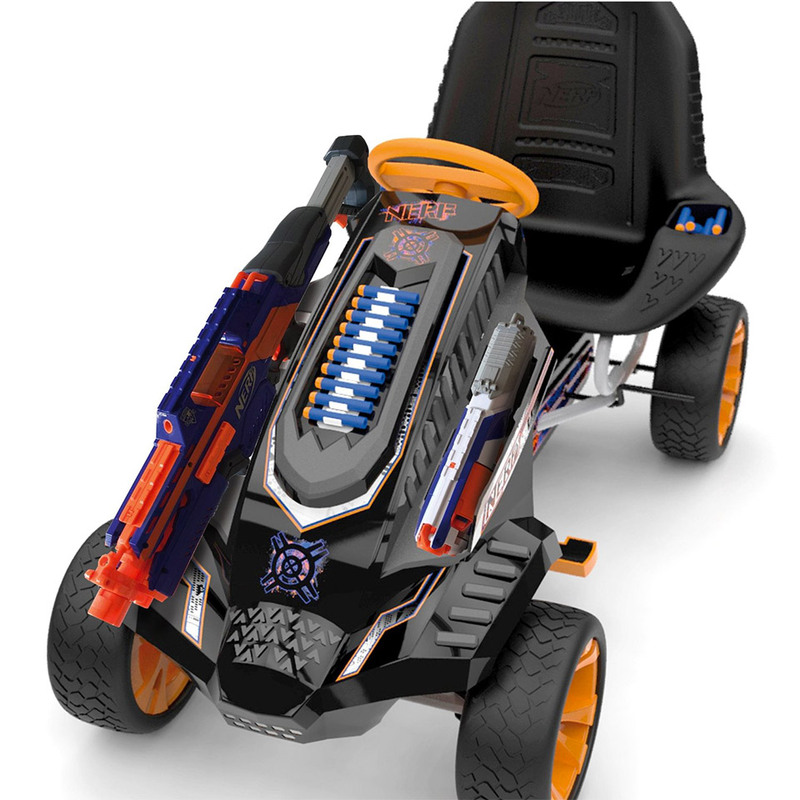 This is Hauck Toys’ Nerf Battle Racer go-kart, which, as you can see, is packed full of foam firepower. 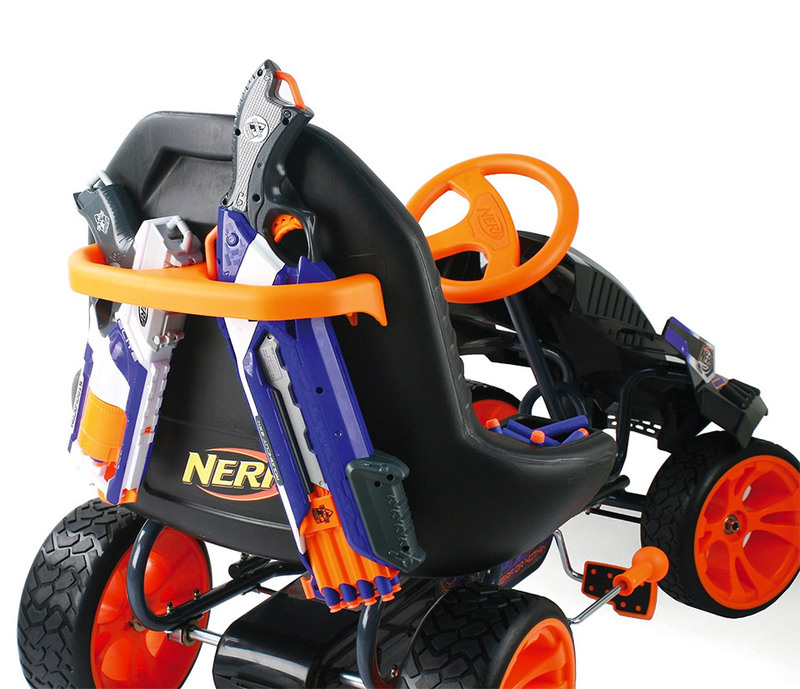 The pedal-powered go-kart has several mounts and posters to hold your Nerf gun arsenal. The Nerf Battle Racer isn’t available for purchase in the states yet. But if you can't wait for it to get here with it's $300 price tag, you can buy it now for almost $700. I’m shocked that something like this wasn't created sooner. This takes Nerf to a whole new level of badassery! Nerf Is Developing a Dart Shooting Drone!